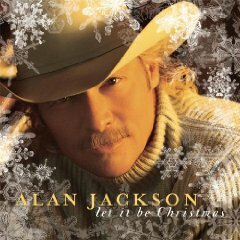 Two very different approaches to Christmas music are defined in Alan Jackson's Yuletide long players. 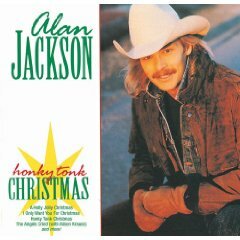 Honky Tonk Christmas, released in 1993, came near the beginning of Jackson's hit-filled career, and emphasizes his reverence not only for the season but for the style of country music he prefers and has made his trademark when others of his generation and younger are recycling '80s arena rock riffs. Let It Be Christmas, from 2002, is from an artist at the top of his game, assured enough to broaden out his basic band with orchestra, strings and a large background chorus, adopting a soft, dreamy pop ambience in stark contrast to the stripped down approach of its holiday predecessor. Honky Tonk Christmas includes but one seasonal chestnut, Johnny Marks's "A Holly Jolly Christmas," and otherwise leans on new or obscure seasonal tunes by Jackson's producer Keith Stegall, Curly Putman and Keith Whitley, Don Rich and Red Simpson and Merle Haggard, plus one Jackson original, "Merry Christmas To Me," a lachrymose tearjerker recounting the laments of a fellow who let his gal get away; Let It Be Christmas is comprised of 10 familiar secular and sacred favorites ("Have Yourself A Merry Christmas," "The Christmas Song," "Away In a Manger," "O Come All Ye Faithful") plus one Jackson original, the title song, a heartfelt, beautifully rendered plea for peace and love in the post-9/11 world--the most important and meaningful new Christmas song since Jimmy Webb’s “Whatever Happened to Christmas” as introduced by Frank Sinatra in 1969, and likely to become as durable a seasonal item as Bing Crosby’s “Do You Hear What I Hear," which was a million seller in its initial release by the Harry Simeone Chorale in 1962, a year before Der Bingle’s worldwide smash hit version; the song itself emerged from fears harbored by its writers Noël Regney and Gloria Shayne Baker of impending nuclear war arising out of the Cuban Missile Crisis. With a band comprised of Eddie Bayers (drums), Brent Mason (electric guitar), Roy Huskey Jr. (bass), Hargus "Pig" Robbins (piano), Stuart Duncan (fiddle), Bruce Watkins (acoustic guitar) and Paul Franklin (steel), Jackson is in his element on Honky Tonk Christmas, singing with casual authority and soulful feeling. He shows off an emotive depth in shaking hands with the steel-drenched blues of "If You Don't Wanna See Santa Claus Cry," and a pleasing, lighthearted way with the cute lyrics of "A Holly Jolly Christmas," a tune further enlivened by Stuart Duncan's swinging fiddle solo. On the rustic meditation "The Angels Cried," penned by Harley Allen and Deborah Nims, Alison Krauss adds her crystalline soprano to a poignant reflection on the Christmas story before joining Jackson in a sweet bit of harmony on the title sentiment. "There's a New Kid In Town," another low-key perspective on the Christ child's birth, with evocative steel and mandolin (by Stuart Duncan) fills along the way, finds Jackson joined in a plaintive duet by the late Keith Whitley, the latter's voice dubbed in from his demo of the song he co-wrote with Curly Putman and Don Cook. Although may consider it one of Jackson's lesser duet efforts, the Don Rich-Red Simpson strutter, "Santa's Gonna Come In a Pickup Truck" ("the weatherman's had some problems/he couldn't get snow, you see/Santa's gonna come in a pickup truck/when he visits you and me") finds the Chipmunks returning Jackson's favor of a guest vocal on the furry trio's 1992 album. It is what it is. "If We Make It Through December" is taken at the same loping pace as Hag did on his original recording, but with an extra dollop of steel and electric guitar, along with the addition of an uncredited banjo player who adds more of a backwoods feel to the tune. On a similar theme of family issues, Bill Danoff and Taffy Nivert's "Please Daddy (Don't Get Drunk This Christmas)" closes out the album on a fairly timeless note, at least as it concerns country music, as AJ seems to acknowledge at the end when he's joined in a hearty chorus by voices en masse heartily belting out a child's plea for his father to stay sober "'cause I don't want to see my mama cry." Now that's country. Alan Jackson and the Chipmunks on ‘Santa’s Gonna Come In a Pickup Truck,’ written by Don Rich and Red Simpon, featured on A Honky Tonk Christmas. No such levity attends Let It Be Christmas, a conscious effort at majesty and solemnity amidst big band classic pop grandeur. Listen to the vibrant brass, woodwinds and pop backing chorus propelling a lively "Winter Wonderland" and "Santa Claus Is Coming To Town" and you'll think AJ must have been checking out a lot of Frank Sinatra, Nat King Cole and Tony Bennett Christmas albums, because that towering trio's impeccable sense of swing is all over several arrangements here; by the same token, Matthew McCauley's lavish string and brass arrangements gracing stately readings of "O Come All Ye Faithful" and "Silent Night" bespeak a familiarity with the sort of charts Nelson Riddle fashioned for Sinatra. When he steps up the pace, Jackson surrounds himself with jazzy guitar and piano as well as blaring brass and cooing background singers ("Jingle Bells," "Santa Claus Is Coming to Town"). The title track is one of Jackson's finest songs of any season, any time in his career. 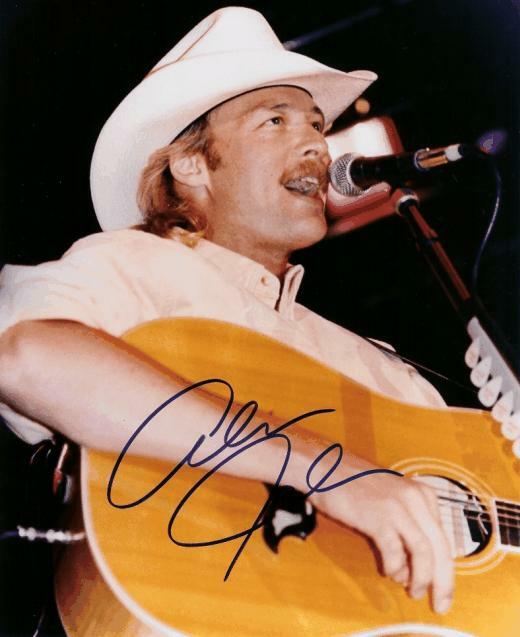 Introduced with a simple acoustic guitar figure, it unfolds deliberately with the entrance of soothing strings, slowly ascending as the song builds to its choruses, when a choir offers resounding support for Jackson's laudable wish for "love that lasts through the year/and let it be Christmas everywhere." When the chorus ends the embroidery drops away to allow Jackson an unfettered return, with only the introductory acoustic guitar figure in support, as the song again builds to its hopeful chorus. Thanks again to a romantic string arrangement, a subdued burst of horns and soft choral parts, "White Christmas" sounds as dreamy as Irving Berlin could have wanted or imagined, with Jackson delivering a marvelously wistful vocal. A lush "Silver Bells," a piano-and-vocal defined "Away In a Manger," a hip, rollicking take on "Jingle Bells"--AJ's got it all covered here, in what amounts to a throwback to the great '50s Christmas albums that happens to sound timely, too--or better yet, timeless. Purists can decry Jackson's embrace of pop styles, but he sounds right at home here. And what better place to be at Christmastime?